As much as I love road-tripping to New Orleans, sometimes I need an authentic Cajun food fix a little closer to home. Razzoo’s is up to 19 locations now, but the downtown spot still feels original, from the shabby chic decor to the signature appetizers like the Rat Toes (shrimp and crab stuffed jalapeno poppers), $7.89. Unlike some of the special occasion restaurants downtown — you know the ones where you ring up a $100 dinner check without even blinking — Razzoo’s is reasonably priced and perfect for regular visits. 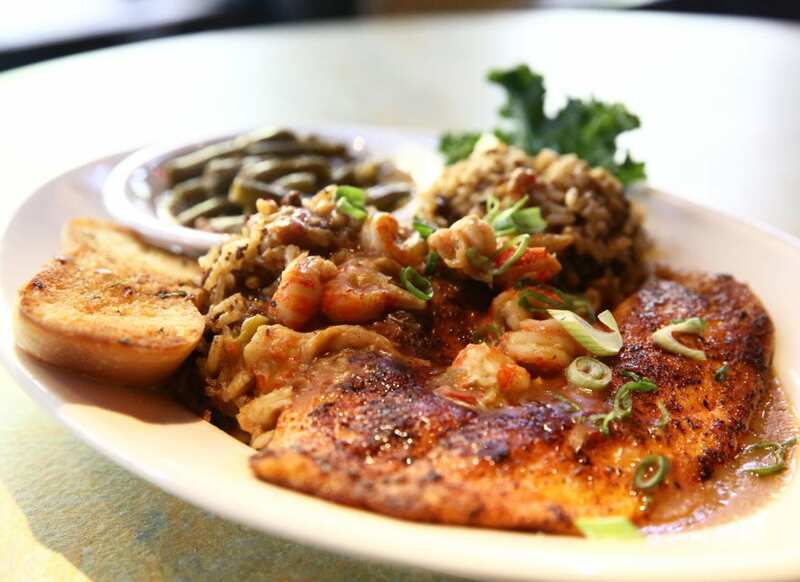 Razzoo’s menu offers a variety of items — some Cajun (catfish po’ boy, shrimp creole, jambalaya pasta) and some not (honeysuckle ribs, one of the best cheeseburgers in town). The full bar features many specialty drinks, starting with the fish-bowl-sized Gator Punch ($15 for 2 people; $25 for 4 to share) and the syrupy sweet Hurricane on the Rocks ($8.50). There are also plenty of local brews on tap, and four big flatscreens to keep an eye on the game. Desserts are available, but the generous portions rarely leave room for the likes of the peach and pecan bread pudding ($6.49). So if you are in the mood for a taste of the bayou without leaving downtown or breaking the bank, Razzoo’s is the place to laissez les bon temps rouler. That’s “let the good times roll” for the Cajun-impaired.